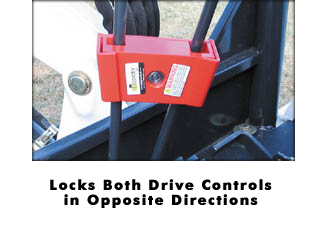 Lock your Mini Excavator and Large Excavator drive controls in opposite directions. Works on both Mini Excavators and Large Excavators. This will prevent anyone from having the ability to engage the ground drive and will not allow the unit to be moved.